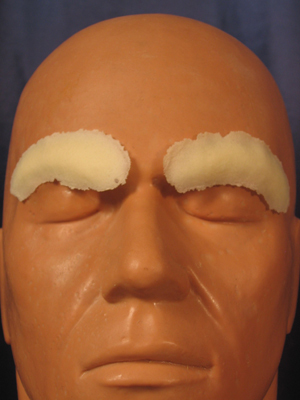 These foam latex eyebrow covers are extremely thin. They are specially designed to obscure your natural eyebrows. Use crepe wool hair to create new eyebrows. Great for a Vulcan at your next convention. Want More Information on How to Apply your Eyebrow Covers? Download our FREE Foam Latex Prosthetics: Make-up Application Guide (pdf). Give us a call at 425.260.8949 or send us a message.